Depending on which type of One-Time Close loan you apply for (FHA, VA, USDA) you may find rules dictating whether a borrower can act as his or her own contractor for construction work. For the VA OTC programs, there are rules that specifically prevent this. August 21, 2018 - Borrowers looking for a One-Time Close (OTC) Construction loan / Single-Close Construction loan have several options. There is an FHA One Time Close construction loan available to all financially qualified borrowers, there is a USDA construction loan that features one application and closing date for qualified borrowers living in rural areas with populations that meet federal guidelines-35,000 citizens or less at the time of this writing. 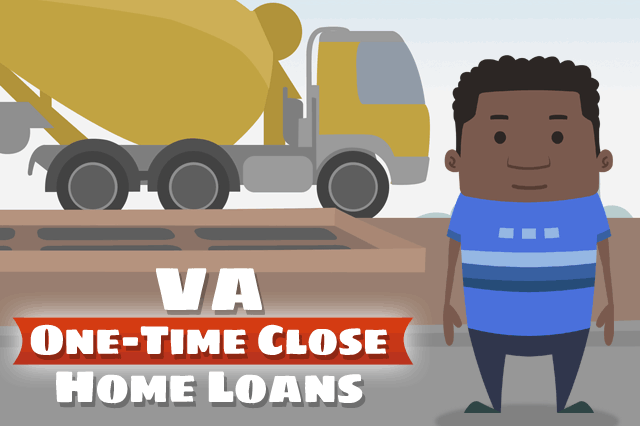 And then there is the VA One-Time Close Construction Loan, which is available to financially qualified borrowers who have served a minimum time on military duty. This VA loan is also open to certain qualified surviving spouses of military members who have died as a result of military service, are listed as missing in action (MIA) or prisoners of war (POW). The Department of Veterans Affairs official site has some advice for veterans and those currently serving who are interested in their home loan options with a VA One-Time Close construction loan. Depending on which type of One Time Close loan you apply for (FHA, VA, USDA) you may find rules for these programs that do or do not permit the borrower to act as his or her own contractor for construction work; in the case of VA OTC loans, there are rules that specifically prevent this. It’s good to know that when the program you choose does permit the borrower to act as a contractor, lender standards may also apply-the lender may not approve such a transaction in spite of it being technically permitted where applicable. The VA official site states that the borrower will be required to submit plans and specification for the construction project as part of the application process. This will need to be done in conjunction with the builder. The down payment issue is an important one because hypothetically, any financially qualified VA borrower can technically apply for a loan with zero money down. But if the appraised value of the property is lower than the price, the borrower will be asked to make up the difference in cash, rather than financing the difference into the loan.